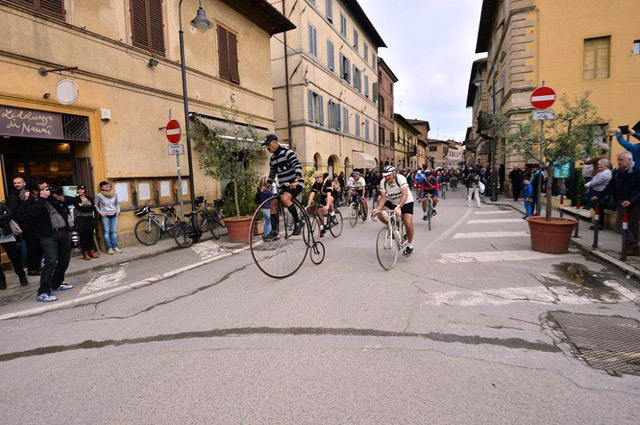 JustLuxe, in its “travel: news and articles” section reports about the cycling event “ the Eroica “ taking place in October in Chianti, and featuring Hotel Villa le Barone (http://www.justluxe.com/travel/villa/feature-1956438.php) . Enjoy autumn in Chianti at Villa le Barone! The first thing that caught our eye about this event is its name: L’Eroica. Understandably, this had us imagining some kind of fetish affair that we most likely wouldn’t want to participate in. Luckily, we were wrong. Born out of a love for authentic cycling, vintage bikes and the Chianti region, L’Eroica (which actually means “heroic”) race is a 23.6-mile venture in its shortest form and a 129.8-mile journey in its longest trip. Beginning on October 5, 2014, cyclists of all levels will set off on the gravel roads of Chianti and will ride through vineyards, oak and chestnut forests and medieval villages along the Tuscan countryside. This year close to 5,000 participants are expected with bicycles dating back to the ‘50s and ‘60s. 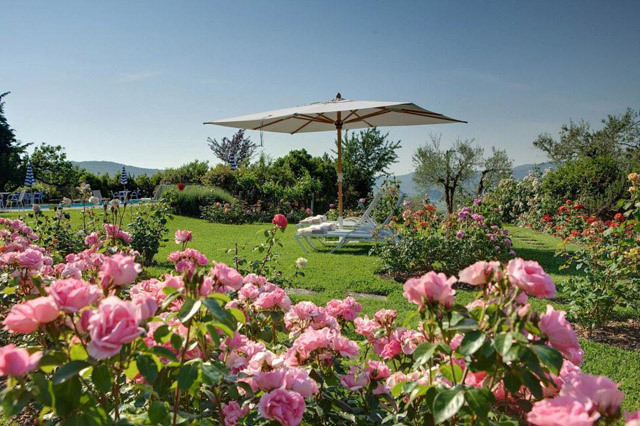 Partnering with the event is the four-star Villa Le Barone in the heart of Tuscany, Italy. Offering riders a restful night’s sleep, the property will be offering a special package for two nights from October 1 to October 31. The charming 28-room hotel has been family-owned since the 16th century by the Della Robbia family. On its grounds it holds a swimming pool, fitness room, tennis court and rose gardens. 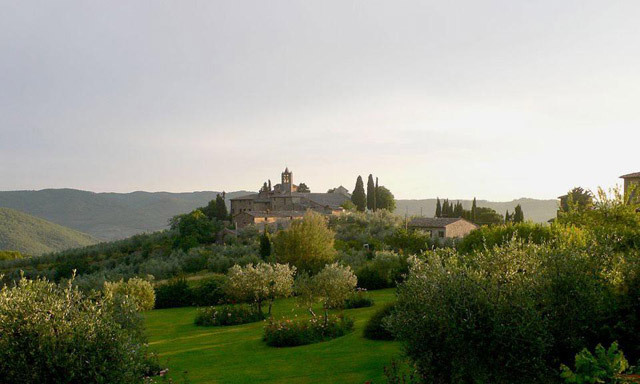 “Whether travelers participate in the race, or simply cycle through the landscape, guests of Villa le Barone will be able to discover the passion for cycling that drives so many Italians, while also taking in the colors of autumn and the beauty of Chianti,” adds Jacqueline Aloisi de Larderel, co-proprietor. The room packages start at approximately USD $845 based on double occupancy and includes a welcome bottle of Spumante, wine tasting and a cellar visit at a Chianti Classico producer, a buffet breakfast and five-course Tuscan dinner, a detailed itinerary with suggestions for hikes, bicycle rides and automobile excursions, and either a bottle of Chianti Classico, extra virgin olive oil or a copy of History, Nature, Traditions: Getting to know Chianti.